Home Culture & Heritage Why is Ceylon tea unique? Sri Lanka was known to the whole world for its tea due to its unique flavour, aroma and colour. 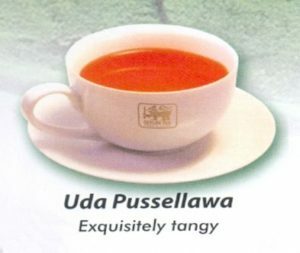 Its not wrong to say that Sri Lanka and tea became, identified as one word and if you ask anyone about Sri Lanka the next word he or she would utter will be TEA. Sri Lanka is the world’s fourth largest producer of tea. In 1995, it was the world’s leading exporter of tea with 23% of the total world export. But due to extreme political, industrial and economic problems over the past years Sri Lanka has lost its position of number one and is facing a crisis situation at present. But Ceylon Tea can still be considered as one of the top beverages that satisfies the taste buds of millions around the world. We are thankful to the Tea Promotion Board for sending us the following detailed article which explains the uniqueness of Ceylon Tea. Tea was introduced to Sri Lanka (then Ceylon) by the British on a commercial scale in 1867. Tea is approximately 5000 years old, first discovered in China and became popular in Europe and their colonies in 1600’s. The Portuguese developed a trade route to ship tea from China to Lisbon and the Dutch ships transported it to Holland and France. Great Britain was the last of the great sea-fairing nations to break into the Chinese and East Indian trade routes. After the treaty of Nanking in 1840 and control of India, tea became an important part to British trade. However, the commercial level of tea plantation became a reality in Sri Lanka due to the destruction of coffee plantation by a leaf disease. 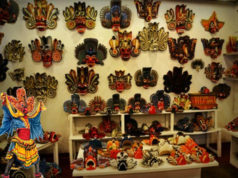 Sri Lanka exports almost 95% of its production and has been able to maintain her global exports share at around 18%. A few decades ago the country was exporting only black tea in bulk form but today it’s exports profile has gone through significant development to cater to the changing world consumer demand. The product range includes black tea, green tea, instant tea, organic tea, flavoured tea and RTD tea products. The export of organic or bio tea was commenced several decades ago and at present the organic tea volume has reached 1000 MT. per year while instant tea volume is approximately 1500 MT. Green tea is another segment that experienced a rapid growth and today the export of green tea has increased up to 3000 MT per year. Sri Lanka exports a large quantity of tea packets and tea bags to add value to its tea than any other tea producing country in the World. The value added tea exports account for more than 40% of the total export volume. Ceylon Tea is exported in a wide range of packets i.e. box board cartons, foil packs, soft wooden boxes, metal cans, ceramic jars, wooden boxes etc. The tea bags component has now reached 35 million kgs (Close to 10% of total exports) per annum. Sri Lanka teas reach approximately 160 countries today. Firstly, it was the Middle Eastern markets which opened the door for Ceylon Tea. At present over 50% Ceylon Tea exports reach Middle Eastern countries. UAE, Jordan, Saudi Arabia, Iran, Iraq, Syria, Libya, Tunisia and Lebanon are the leading importing countries of Ceylon Tea in the Middle East and Gulf region. Since early 1990s, the Russian Federation and CIS countries emerged as major buyers of Ceylon Tea. In fact, Russia is the single largest buyer of Ceylon Tea now and her annual offtake from Sri Lanka is approximately 60 Million Kgs. The European Union is also a significant buyer of Ceylon Tea and her annual import volume from Sri Lanka is around 30 million kgs while Japan, Australia and Far Eastern countries absorb another volume of 25 million kgs. The Northern American markets of USA and Canada too import more than 5 million kgs of Ceylon tea per year. 24% of tea is produced on corporate estates and 76% by small holders, who sell the raw leaf to processing factories. Cost of production is the highest among major origins due to low yields, high cost artisanal processes and high relative cost of labour. Considering this, and the premium qualities of Ceylon Tea, it has to be sold at higher price levels than other origins. This has happened thus far but could be at risk if a concerted effort if not made to rebuild the premium, aspirational position of Ceylon tea, highlighting its superiority to other origins. There would be a major socio-economic impact of a reduction in tea prices and if they do not grow in line with production cost/cost of living increases. Ceylon Tea has been prized for its unique flavour, colour & character, which cannot be readily found elsewhere. The humidity, cool temperatures, sunshine and rainfall (two monsoons) in the country’s central and southern highlands are conducive to the manufacture of unique quality teas. Tea plantations are scenic and pristine. Tea is grown, hand picked and processed in an artisanal process, unchanged for over a century. Ceylon tea is divided into three groups: High Grown, Mid Grown, and Low Grown tea based on the elevation and geography of the land on which it is grown. This is similar to the terroir concept in wine. Ceylon Tea has unique characteristics and is known for superior flavor for its high grown teas and exquisite leaf appearance for low grown teas, much favoured in the Middle East. 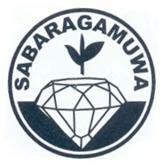 The tea industry in Sri Lanka has created many global records in various fields and avenues. The country could boast of a highly transparent Tea Auction system in Colombo rated as the largest in the world for a single origin and always yields the fastest turn-around of tea to cash for the farmers. In respect of agro-chemical pesticide residues, Ceylon Tea has been regularly acclaimed as the cleanest by independent analysts/research labs around the world. Sri Lanka also received the accolade from Montreal Protocol in Canada as the only “Ozone Friendly Tea” in the world. Several industry players in Sri Lanka have received United Nations Global Compact Awards which other countries are yet to achieve. The contribution for Carbon Credit programs and the commitments for Corporate Social Responsibility are high. While the industry is ILO compatible it is a role model for the United Nations Environmental Program and fulfills most of the global millennium goals. Ceylon Tea undebatably is a high quality, high cost product which is known the world over for almost a century and half. Sri Lanka, the island nation of the shape of a tear drop at the southern tip of India is world famous because of Ceylon Tea and continues to look after the livelihood of almost 2 million people (10% of the population) directly and directly. Generating an export revenue of US $ 1.5 billion per annum, the Sri Lanka Tea industry is vital for the economic stability, social stability and political stability of the country. 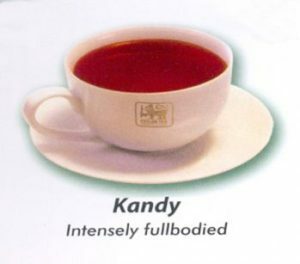 The competitive advantage of Ceylon Tea lies on the following key attributes. Ceylon teas are hand picked to ensure a better selection of green leaf for the manufacture of tea – an expensive and labour intensive process, which greatly influences the final product quality. Sri Lanka is a bastion of the original Orthodox tea manufacturing process that results in small batch, labour intensive production of a wide variety of leaf style or grades and ensures the unique flavour and aroma. The vast majority of global production now uses the CTC [cut tear & curl] process designed for efficiency. The CTC process produces more uniform small leaf sizes, more convenient for packing into teabags and also to give a quicker infusion but at the expense of flavour, which is the hallmark of orthodox Ceylon Tea. The Ceylon Tea Industry is well regulated with a unionised workforce that is governed by a collective labour agreement. Child labour is banned. Workers are provided a comprehensive selection of facilities from housing to healthcare. Estate operating companies place strong emphasis on human resource management to retain workers on estates since other opportunities are increasingly available. A significant proportion of the manufacture is through small holder sector, under a truly free market environment where the farmer receives remunerative prices. When tea is packaged in Sri Lanka, significant value addition & profits are created at origin which then directly benefits the livelihood of many thousands of people. Bulk tea exports are generally with low margins and very little value addition is generated. Growing and producing Ceylon tea is a tradition and a passion for almost 150 years. Each day about 1.5 million people all over Sri Lanka, from tea pluckers to tea producers, from tea tasters to tea packers, commit themselves to produce some of the finest black teas on earth. It is a way of life. Ceylon Tea estates are in pristine environments and are of a small size of 200-400ha generally with professional managers and a dedicated workforce living on the estate. Small holders tend family plots of 1-5ha and supply fresh green leaf to nearby processing plants through a well-established network. A thorough monitoring system allows tracking of produce from estate to the auction until packaging. The seven agro-climatic regional teas namely Nuwara Eliya, Uva, Uda Pussellawa, Dimbula, Kandy, Ruhuna & Sabaragamuwa has given Ceylon Tea an unique advantage to produce teas of different flavour, aroma, strength and colour unmatched by any other origin in the world. Sri Lanka has implemented various measures to comply with environment related international conventions and agreements, including the Montreal Protocol. The usage of methyl bromide as a soil fumigant in the tea sector was phased out to comply with the Montreal Protocol. By phasing out Methyl Bromide used in fumigating the soil in its tea plantations, Sri Lanka now offers the world “Ozone-Friendly” Ceylon Tea. Tea gardens now use Basamid-Granular for soil fumigation. The use of pesticides and herbicide are constantly monitored by the state Tea Research Institute (TRI) to ensure the residue levels are in compliance with the highest international standards. Due to the high humidity levels and propensity for leaf blights, limited, closely controlled pesticide application is permitted. 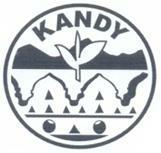 Organic teas are in limited production in Sri Lanka. The drop in yields would require much larger areas to be planted in tea hence the focus has been on limited applications of permitted fertilisers amidst best agricultural practices. Teas are packaged in Sri Lanka in 2-3 weeks from harvesting, thereby preserving the freshness and inherent aroma of the tea. This is in stark contrast to teas packed in consuming markets, which can be many months old, sometimes over a year, when packaged. The goodness and quality of the tea would be lost apart from possibility of blending with other origins. 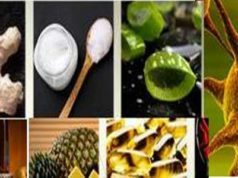 The best guarantee of freshness is to buy a product packed at source (Sri Lanka). Tea bearing the Lion Logo must also be packed in Sri Lanka. Overseas importers and distributors cannot use the logo on their packaging, though if the contents are 100% Sri Lankan, the name ‘Ceylon Tea’ may still legally be used. These strictures are needed to help consumers distinguish real Ceylon Tea from the thousands of products, including many with international brand names that are available around the world, which contain tea of mixed,non-specific origin. 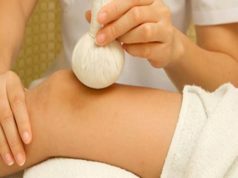 These products are blended from whatever teas are available on the international markets. The skill of the blender ensures a consistent product regardless of origin, while the firm enjoys economies of scale and suffers no supply-side anxieties. However, the level of quality rarely equals that attained by single-origin teas, and such blends can never emulate the character, so prized by connoisseurs, of pure Ceylon Tea. tangy. Colder conditions at year end supposedly add a hint of rose to the bouquet of a tea known for its medium body and subtle character. Heavy rainfall, though, tends to produce tea that is even darker and stronger-flavoured. The remote Uva district is exposed to the winds of both northeast and southwest monsoons, believed to endow the tea produced here with a special, unmistakable character and exotically aromatic flavour. It was with tea grown on his Uva estates that Thomas Lipton, the Victorian magnate, persuaded Americans to drink tea. 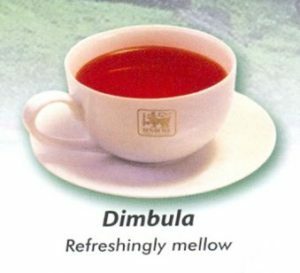 The mellow, smooth taste of Uva tea, once experienced, is easily distinguished. 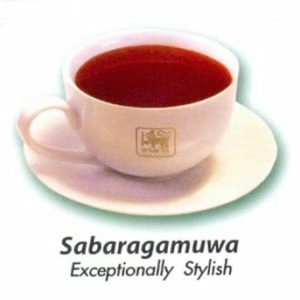 Sabaragamuwa is Sri Lanka’s biggest district, the teas of which are low-grown as its estates range in elevation from sea level to 610m (2000 Ft). Sabaragamuwa, sandwishd between Sinharaja in the south and Adam’s Peak wilderness in the north, produces a fast-growing bush with a long leaf. 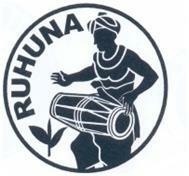 The liquor, too, is similar to that of Ruhuna teas, dark yellow-brown with a reddish tint. The aroma, however, is noticeably different from the Ruhuna product, with a hint of sweet caramel, not quite as strong: yet exceptionally stylish. All tea grown in Sri Lanka is now one hundred percent ozone-friendly. 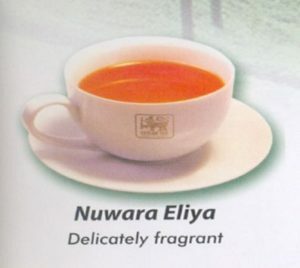 This is a distinction of which no other tea-producing nation can boast. Plans are now being drawn up to impose a total ban on methyl bromide use in applications like export packaging and shipping. 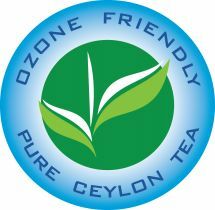 As of May 2011, all Ceylon Tea is entitled to bear the new ‘Ozone Friendly Pure Ceylon Tea’ logo, certifying that it has been produced without the use of any ozone-depleting substances. The Tea Board has commenced the registration of the logo in thirty tea-importing countries from 2012.